Nigel Farage said on Friday that his new Brexit Party will usher in a "democratic revolution in British politics". Farage, who previously led the UK Independence Party (UKIP), said his new venture is not a one-issue party but did not outline any policy ideas. He promised however that the Brexit Party will present a "broader manifesto" after the EU elections, held on May 23. "We are going to provide the British people with a decent, respectable, competent political vehicle," he assured, speaking at the launch of the party in Coventry. He said the list of candidates he will present for the European election "will be the most impressive lists of candidates any political party has ever put in front of the British electorate." 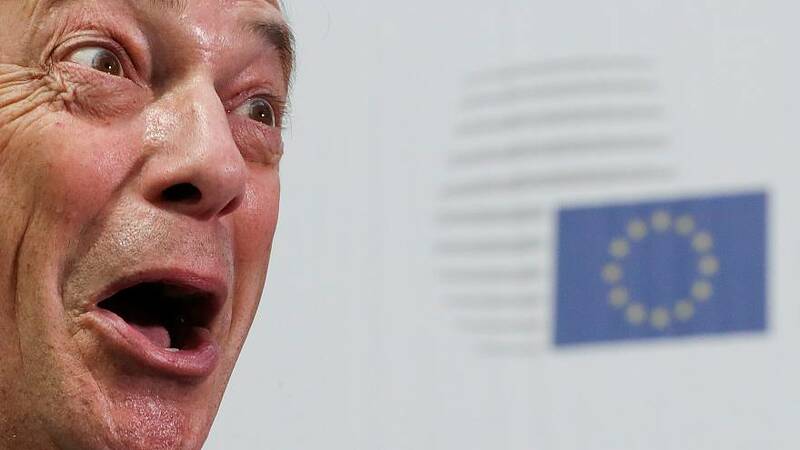 Farage said he is so confident that he has bet "£1,000 (€1,156) on the Brexit Party to top the poll in the European elections at the odds of 3/1." He said the party would target Leave voters from the two main parties in the country — the ruling Conservative and the main opposition Labour Party — as well as UKIP. Some of the candidates joining him on stage at the event include Annunziata Rees-Mogg, a former MP and the sister of arch Brexiteer Conservative MP Jacob Rees-Mogg, Ben Habib, CEO of the First Property group and June Mummery, of Fishing for Leave. Farage also said that the party has, in the past ten days, received £750,000 in small donations. "I've never seen anything like that," he enthused, adding: "Of course I welcome big donors." He railed against his previous political family, UKIP, which he said now contains a "fairly loutish fringe" that is "associated with criminal violence and thuggery." He also took aim at the main political parties, accusing the leaders of being "happy to continue down the path of managed decline," adding that the British people "are lions led by donkeys." Hi party, he said, will "put the fear of God into our members of parliament in Westminster."